One of the annual opportunities I have as a member of the RHS Science Committee is to visit Chelsea Flower Show. Today was one of the hottest and sunniest Chelsea shows I have enjoyed for several years. There were many new ideas and new plants to see as well as the usual smattering of celebrity visitors. 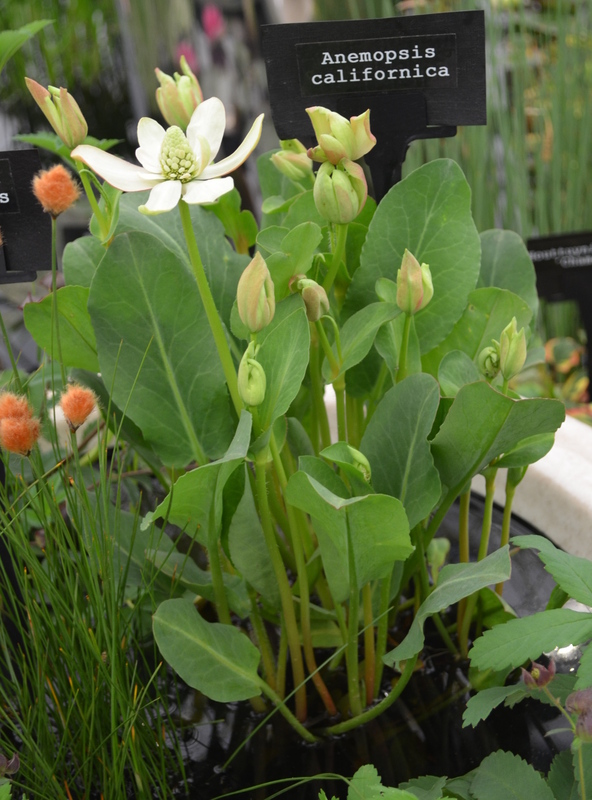 My plant of the show this year was Anemopsis californica, an unassuming water plant from the Saururaceae that is rarely grown. 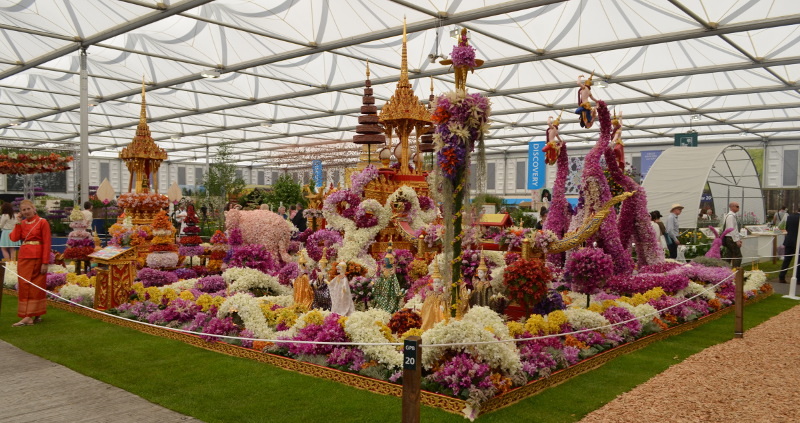 Without doubt the most eye-catching stand was that by Thailand with its uncompromising brilliance of both flowers and backdrop. This entry was posted in Art, Public Engagement with Science, RHS research and tagged Anemopsis californica, Benedict Cumberbatch, Birmingham City, Jerry Hall, John Humphrys, Kelways, RHS Chelsea, Thailand, Woodland Trust, WW1. Bookmark the permalink.